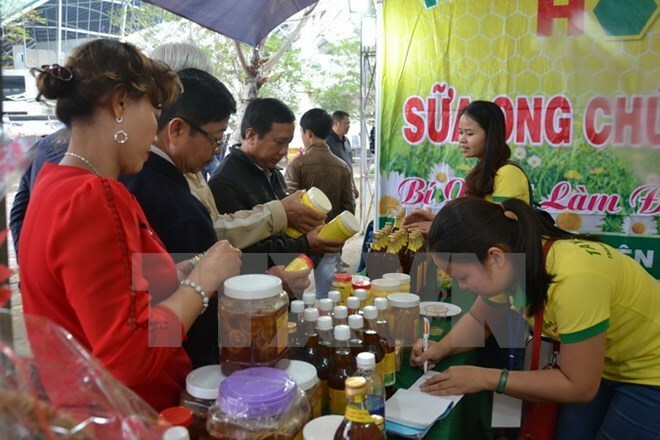 Hanoi (VNA) – The fast-moving consumer goods (FMCG) market is expected to see good expansion towards the end of this year thanks to stronger purchasing power in both urban and rural areas, experts said. Statistics from the retail sector showed that after reaching a record growth rate (9.6 percent) in the first quarter, the expansion of the FMCG market slowed down to 5.8 percent during April-June. Notably, six main FMCG categories, including beverages, food, dairy, household care, personal care and cigarettes showed positive growth in the quarter. Food and dairy sector grew 8.1 percent, home care 5.7 percent, beverage 5.4 percent and personal care 5.4 percent. Beverage made largest contribution to the total FMCG sales in the period with 42 percent, followed by food (16 percent), cigarettes (15 percent) and dairy (14 percent). Meanwhile, rural areas continue to be a promising land for manufacturers. Whilst urban growth stood at 5.1 percent, urban areas post a more rapid growth at 6.5 percent. Urbanisation, Internet access and the popularisation of smart phones have changed the lifestyle of rural consumers. They are willing to pay more for high-quality products.